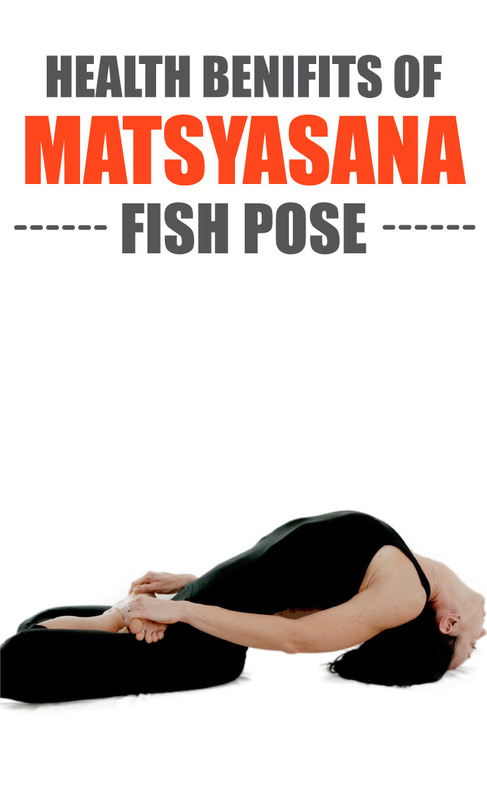 In Sanskrit language “Matsya” stands for “Fish” and it is also said that one can float like a fish by practicing this asana in water hence it is also renowned as “Fish Pose”. It is suggested that one should practice this asana after practicing Sarvangasana as it is a counter pose of Sarvangasana. Here we showcase some Matsyasana steps for how to do Matsyasana in a very well taught-out manner to achieve helpful Matsyasana benefits. It is one of the best back bending pose which can be practiced with other asana or alone as well. It helps to alleviate digestive disorders, advances breathing process and to provide additional blood flow in the pelvic region and sexual glands. First of all lie down on the floor in a Shavasana pose. Then achieve a normal Padmasana pose while lying on back such that knees are place on ground. Now raise head such that it is making an arc with the chest and crown of head on the floor and keep looking backward. By doing this a sort of bridge is created between chest and waist such that chest is pointing in upward direction. Now grasp the toes of feet with the help of hands placing the elbows on the ground. Inhale steadily and stretch the limbs fully and retain this posture for some time. After completion of above process release the toes and place elbow on the floor and with the help of it lift the upper part of the body, this is known as easy pose of Matsyasana. Retain this posture and try to rotate the neck in clockwise or anti-clockwise direction. At last reverse the entire process slowly to get back to normal Padmasana pose and then relax the body by practicing Shavasana pose. It is suggested that one should retain Matsyasana steps for minimum 8-10 breathes as long as one feels it comfortable and easy but don’t try to overdo it. Matsyasana benefits to improve breathing process by stretching lungs and ribcage. Fish Pose provides excellent massage to abdominal organs to relieve digestive disorders. It is much helpful for stretching spine and nerves in the neck. Matsyasana benefits to provide additional blood flow in pelvic areas and in sexual glands which helps to revitalize these organs. Patients suffering from hernia, peptic ulcers or a serious spinal problem should avoid practicing Fish Pose. Women in late-term pregnancy stages should not practice asana.